Sunday night’s premiere of Cosmos, an iteration of Carl Sagan’s 1980 miniseries of the same name, put me in mind of the “Introduction to Astronomy” course that I took as a first year undergraduate. Therein, I already knew much of what the professor had to say, but I was nonetheless happy to be there. 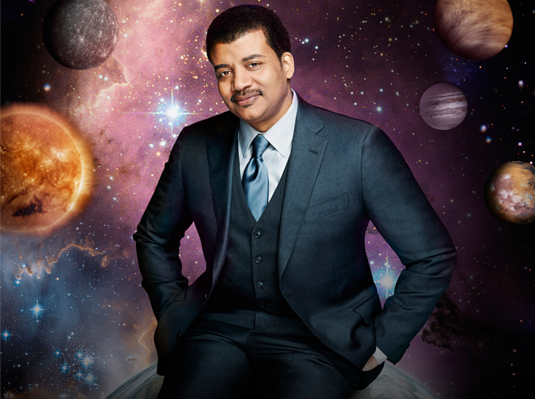 I also expect that Neil deGrasse Tyson’s brief introduction to the known universe, the cosmic calendar, and humanity’s relatively small role within the grand scheme of it all, probably doesn’t come as news to the sort of people who frequent my website. That’s right, I have a very high opinion of the people who take the time to read my words. So even though Cosmos has an innate appeal to science and space minded nerds, I don’t think we are meant to be its target audience. Everything about Dr. Tyson’s seemingly effortless narration, combined with his obvious passion for the topics under discussion, is designed to take the viewer by the hand and lead them through a space so large that it almost defies imagination. The “imagination ship” itself, Tyson’s and Sagan’s conveyance through the cosmos, gives the audience permission to step out of their known world and into places that are largely conceptual and theoretical. Where this voyage could easily get bogged down in figures and measures of quanta, Cosmos is firmly rooted in the qualitative. In that light, this first episode, and probably the series as a whole, presents itself as something that is primarily concerned with exploring ideas framed within the scientific method, rather than the theories that underwrite those ideas. Bruno’s words are a reminder of why we, humanity in the year early 21st century, need a show like Cosmos as a touchstone for the general viewing public. Carl Sagan presided over a Cosmos where space, at least for Americans, was a viable battleground for the Cold War. Now, the world views space through ever shrinking NASA budgets, an orbital station beholden unto Russia’s good will, and a few robots, probes, and telescopes scattered throughout the solar system. Closer to home, economic turmoil, inequality, wars, and an uncertain future offer every reason for a person to turn inward and think only of themselves or their very small community. 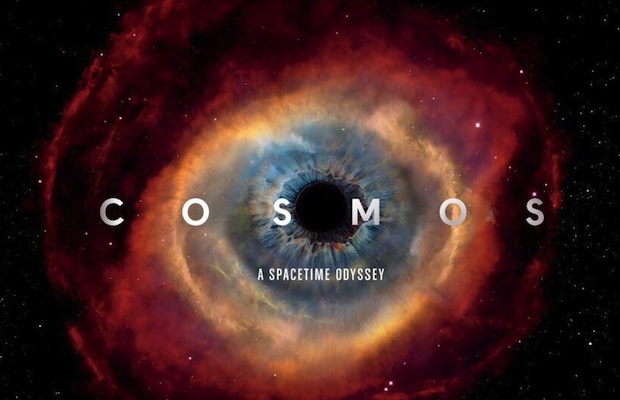 Yet in a single episode, Cosmos serves as a reminder that there is more to creation than the day-to-day things that fill news crawls and twitter feeds. We are part of something majestic and wonderful. Perhaps then the audience is meant to consider Bruno’s words and understand that our world is too small.